Gilsonite is a Soft Rock, meaning that it can be simply made into Gilsonite Powder. A 200m2 industrial unit is sufficient to set up a grinding mill, while complementary packaging equipment is also necessary to wrap Gilsonite into different packaging, from 1 MT jumbo bags to 25 kg worker bags. The technology of grinding minerals is a vast and advanced expertise which has been developed in different countries. The tricky part of Gilsonite pulverizing is about one of its principal characteristics, i.e. having BITUMEN CONTENT inside. As applying energy into natural bitumen releases the bitumen content, therefore taking the rock asphalt under grinding, makes it a sticky powder, especially if the temperature is not properly controlled during the process. Depending on the method of grinding, Gilsonite can be made in different mesh sizes, starting from 30 to 300 for Simple crushing machinery. Mesh size goes up to 500 – 1000 Mesh in case a Fusion unit is added. Still many claim to supply a 3,000 Mesh Gilsonite Product which is a myth, considering there is no economical way to measure such dust particle size. Another challenge is the environmental hazard. 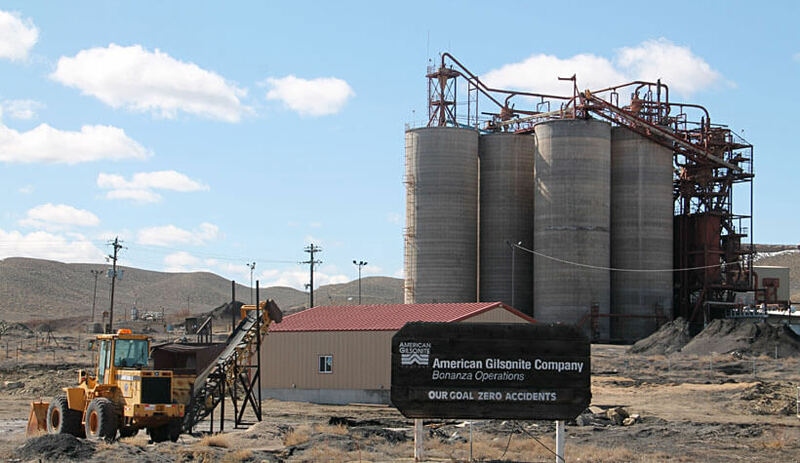 Pollution resulting from grinding the natural bitumen can end up into stopping the facility from production by the authorities in many countries. Still, There are primitive (using back filters) and advanced ways (using output Catalysts) to rectify the issue. One important factor to consider in Gilsonite Powder is that the Ash Content of the Gilsonite increases when crushed into powder. The main reason for this is that Gilsonite mining –no matter how advanced – still will carry sands and rocks within the mined product. These particles in extracted Gilsonite are inseparable in some cases. When feeding the Rock Asphalt into the grinding machine, the sands will also be part of the final powder. Impurities will react chemically as an ash content of the Gilsonite Powder. Such molecular structure breaking can also result in increasing the volume during the powdering procedure. Powdering Gilsonite rock is a fine business with relatively promising added value of about 30-50 USD/MT, since all Gilsonite applications are based on powder usage not the lumps. 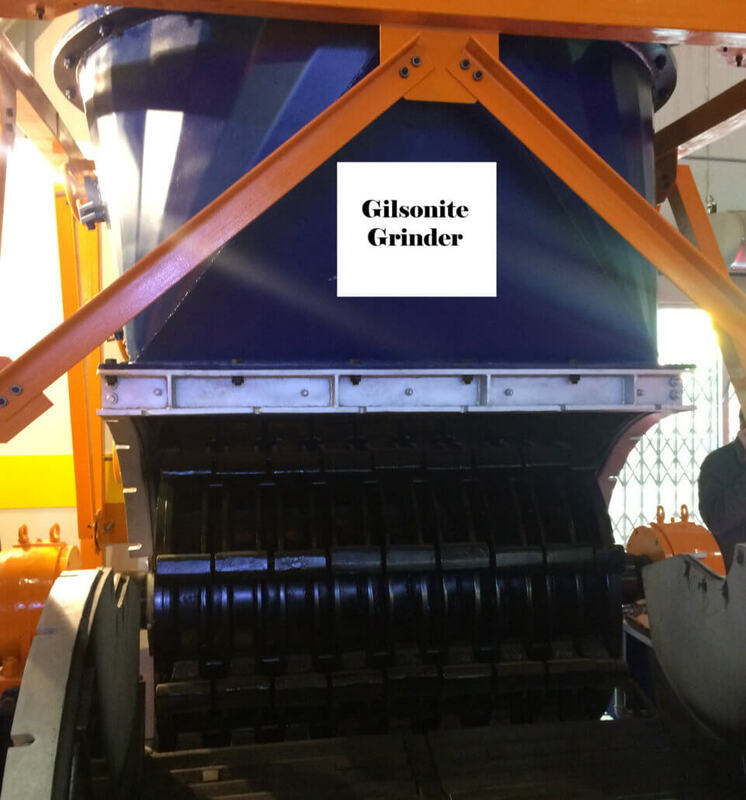 As many grinding facilities has risen in recent years, especially in Asia (UAE, China, India & Iran), the monopoly of supplying Gilsonite Powder has ended. Now there is actually a surplus on the supply from different sources.